oOooooOo did you see what i did there?!??! no? okay. combine some rain, really really cold wind, grey skies and a "it's so cold i don't want to do anything but sleep" attitude, and you have monday the 13th of april. such a gross monday. it was a "i-need-comfort-food" sort of day. lately i've been watching a lot of food videos (shout out to donal skehan, you cutie), and bread and butter pudding was a recipe that was so so so easy. this sounds pretty nana-ish but it's also my go to dessert whenever i'm at denny's. argh. 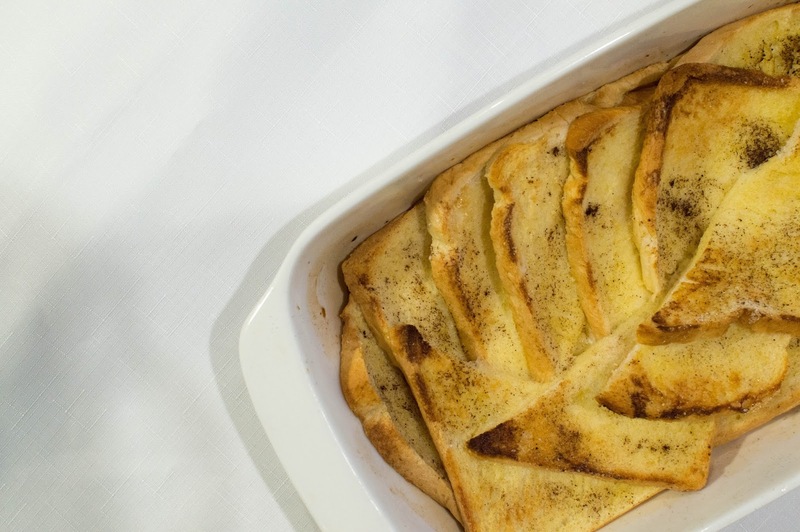 bread and butter pudding = ultimate comfort food. this recipe is in no way perfect; it is simply how i have chosen to make my own bread and butter pudding. keep in mind, that traditional bread and butter puddings usually incorporate raisins. you can add this to yours! i didn't have any, but i'm not really a fan anyway! 2. cut up bread slices in half diagonally. butter every slice thoroughly. as you're placing it in your baking dish, make sure you're sprinkling a dash of cinnamon + castor sugar on every layer. 3. whisk together the eggs, milk, sugar and vanilla essence. pour this mixture over the slices of bread and let this sit for about fifteen minutes so the bread is able to soak up the mixture. 4. sprinkle castor sugar on the top layer so it caramelises in the oven! 5. bake in the oven for about 25 minutes, or until the top is golden brown and the custard is set. 6. add any additional toppings and enjoy! i used some berries, icing sugar and canadian maple syrup!!! no words can express how good this pudding was. my stomach is so ridiculously happy right now and i am ready for game of thrones. 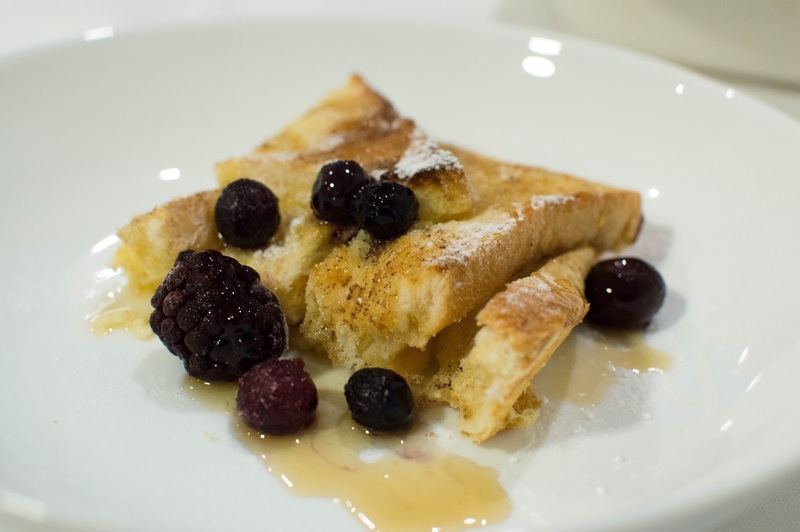 how do you eat your bread and butter pudding? do you even like bread and butter pudding? i'd love to know! p.s. sorry i don't have a cheer me up monday for you today. the bread and butter pudding + game of thrones + x factor is my own cheer me up monday.